What is the precise relation between the "Pope" of the poems and the Pope of history? 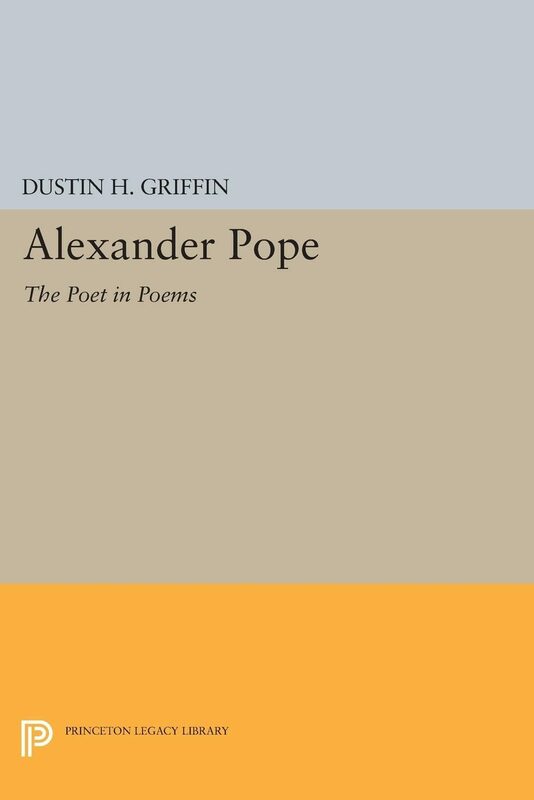 Seeking to clarify the nature of the intimate link between the historical self and the idealized self of the poetry, Dustin Griffin examines the various ways in which Pope's poems may be said to be self-expressive. He brings a sensitive critical reading of the texts and an impressive knowledge of the poet's life and writings to his discussion of poems from the entire range of the poet's career. The author argues that Pope is present in his poems as a private person whose special imaginative and psychological concerns emerge because they are expressed publicly. In some poems, Pope confronts quite openly his fervent moral idealism with his powerful aggressive feelings, and he explores his conflicting impulses toward retirement and engagement. In others, he reveals impulses and attractions that he would not admit to full consciousness in his letters. Pope is also present as poet-protagonist, self-consciously attempting to present and master a body of poetic material. Professor Griffin's study recovers some of the personal energy that invigorates Pope's greatest poems and makes them strikingly self-expressive products of an imagination intrigued and often at odds with itself and, yet more sharply, with the world.Originally published in 1979.The Princeton Legacy Library uses the latest print-on-demand technology to again make available previously out-of-print books from the distinguished backlist of Princeton University Press. These paperback editions preserve the original texts of these important books while presenting them in durable paperback editions. The goal of the Princeton Legacy Library is to vastly increase access to the rich scholarly heritage found in the thousands of books published by Princeton University Press since its founding in 1905.